(1953) 13 min., color. Beautifully told true story of how Franz Gruber created the iconic 1818 Christmas carol. (1953) 24 min. Robert Hutton plays a war vet with amnesia who is taken in by widow Frances Rafferty and her son on Christmas Eve. (1956) 12 min., color. Story of the Nativity beautifully narrated from the Gospels and told using the silhouette animation style of Lotte Reiniger. The film opens with the Holy Family traveling to Bethlehem and closes with the Wise Men bearing rich gifts, while a host of angels descend from the heavens. (1956) 28 min. Episode of “DuPont Theater.” In Latin America three young boys follow a village tradition of carrying Christmas gifts to the mission church children in the costumes of the Three Wise Men. When they ride through the poor section of town, the boys decide to give the presents to the ragged children instead, causing a crisis in conscience in the community over the true meaning of giving. (1954) 26 min. Produced, directed by and starring James Mason, with the participation of his wife, daughter Portland and other child actors. Mason and his wife first read sections from the bible that lead up to the birth of Jesus. He visits his daughter in bed and their discussion leads into an enactment of the Nativity starring a cast of children. Jerry Mathers plays Joseph. A heartfelt, inventive and personal religious project by a Hollywood star at the height of his fame. (1939) 30 min. Opulent British docu-drama about the creation of the famous Christmas carol centers on a stern father estranged from his daughter. 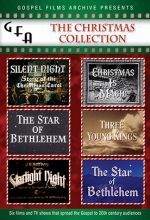 This latest release from Gospel Films Archives collects six short films about Christmas from various production companies that were active during the mid-20th century. Two of the shorts center on the origins of the 1818 classic carol "Silent Night." The first, "Starlight Night" (1939) is a somewhat overwrought docudrama that situates the simple story of Franz Xavier Gruber and Joseph Mohr's songwriting collaboration against a family feud. By contrast, "Silent Night: Story of the Christmas Carol" (1953) calmly explains how the Reverend Mohr was inspired to write the tune's lyrics on a beautiful night in his Austrian village, asking schoolteacher Gruber to come up with a melody on guitar. "Christmas is Magic" (1953) stars Robert Hutton and Frances Rafferty in a bright and touching story of a widow who meets a World War II veteran suffering from amnesia on Christmas Eve. "The Star of Bethlehem" (1956) is an outstanding animated short using the delightful and painstakingly precise silhouette style of Lotte Reiniger. 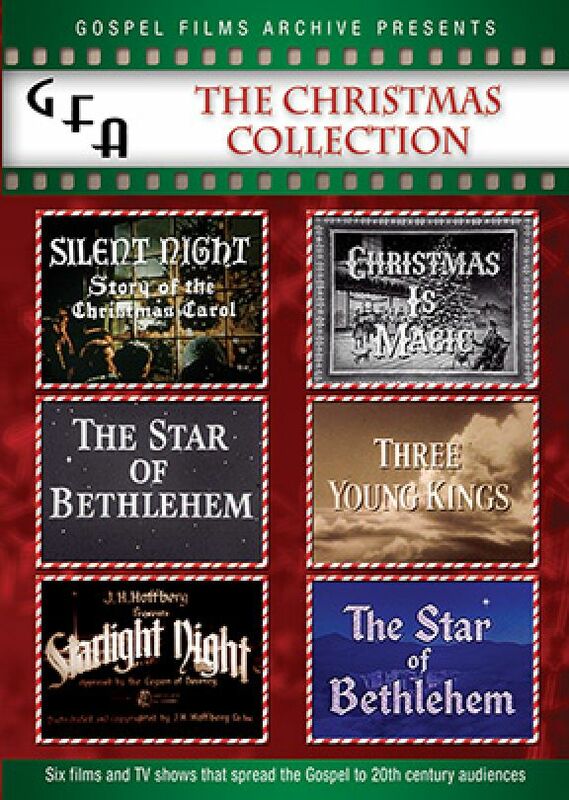 "Star of Bethlehem" (1954) is an odd piece in which actor James Mason reads the Nativity story to the camera, followed by the appearance of Mason's young daughter Portland as Mary in a kind of school play centered on the birth of Jesus. Finally the great character actor Thomas Mitchell introduces the engaging drama "Three Young Kings" (1956), which is set somewhere in Latin America and tells the story of well-intended schoolboys who make a humane change to a Christmas tradition in their village and are criticized for it. Another interesting set of religious films with Hollywood talent, this is highly recommended.